Peppermill for Fresco Canada 2009. 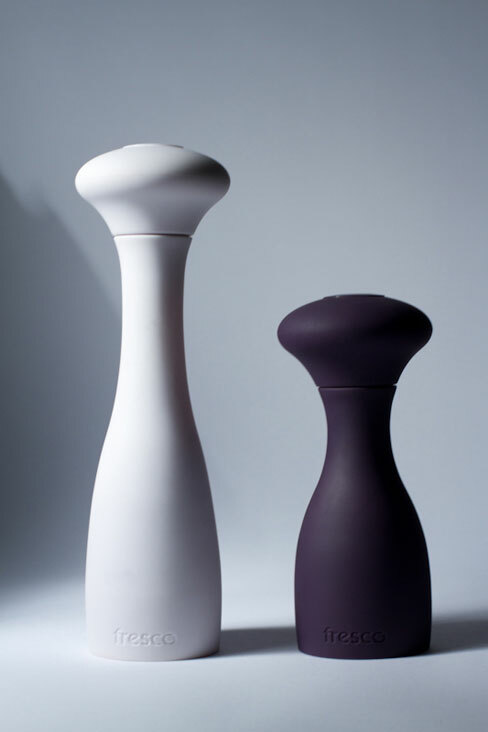 This mill’s ergonomically sized “neck” and “head” make it a pleasure to use. A soft touch exterior makes it easy to grip and hard to put down. The high quality ceramic mechanism is adjustable. Sold by Vic Firth in the US. Part of Toronto based celebrity chef Mark McEwan’s line for Sears Canada. Photo: David Blotner.